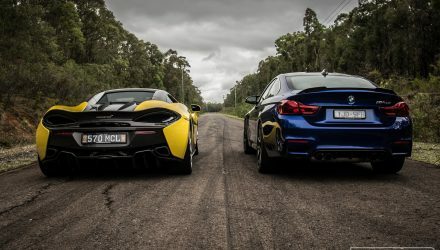 Over the past few years there has been a quantum shift of Australian car buying preferences. 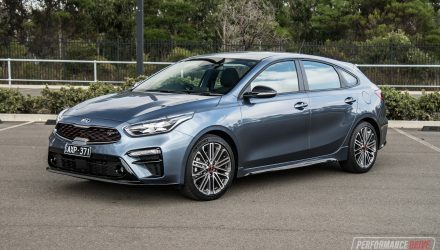 The once dominant Holden and Ford large sedans have been off the charts for a while, with the Toyota Corolla, Mazda3 and Hyundai i30 variably swapping first place for the past 5-6 years. Thus we took it upon ourselves to take two of that trio and pit them against one another to find out which is the right one for you. 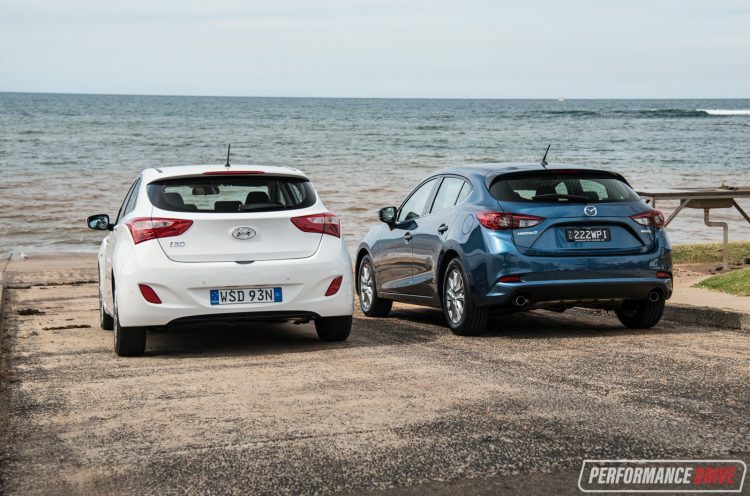 The Corolla is also a fine car by most standards but maybe not quite as entertaining as the 2017 Mazda3 and 2016 Hyundai i30 (MY2017). 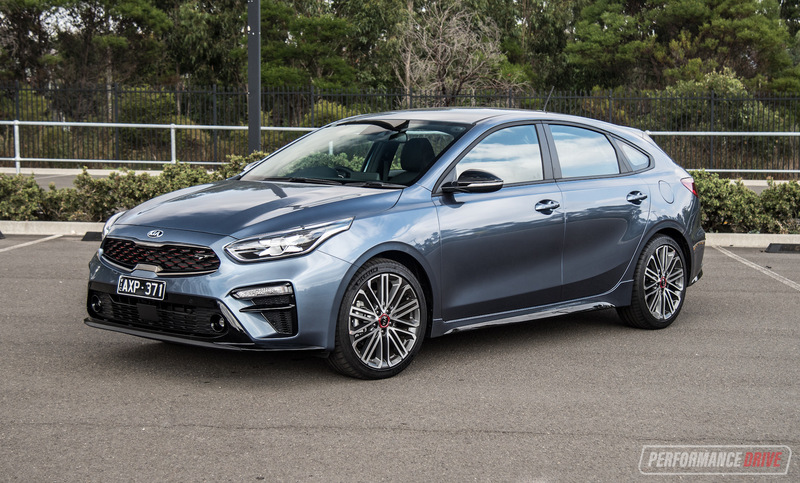 Despite the Mazda being a newer design and a new, third-gen i30 due mid-next year, the i30 narrowly leads with sales in Australia so far this year (October VFACTS), reporting 32,396 units year-to-date (18.7 per cent market share) to 30,089 (17.4 per cent) of the Mazda3. The Corolla narrowly pips them both at 34,158 (19.8 per cent). 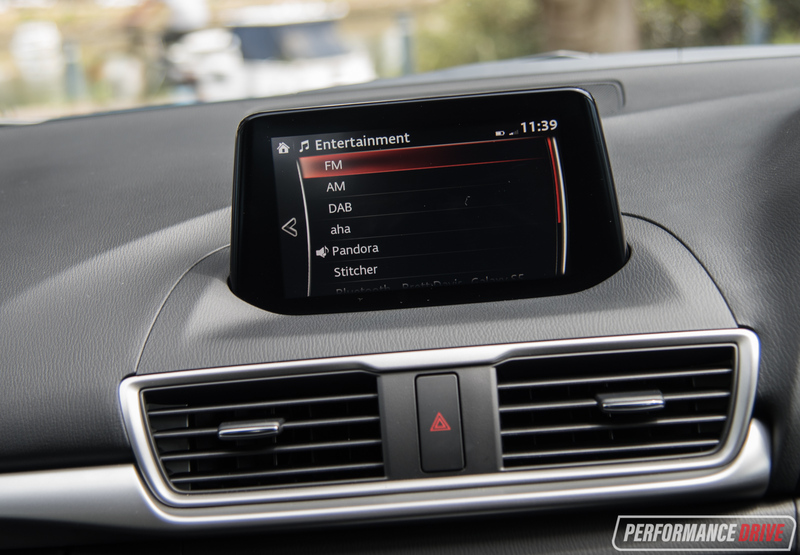 The i30 received a mid-cycle update last year, including styling changes and a spec re-alignment which includes standard Android Auto and Apple CarPlay. Mazda updated the 3 earlier this year, with an emphasis on making it more refined with some electronic trickery to improve handling. 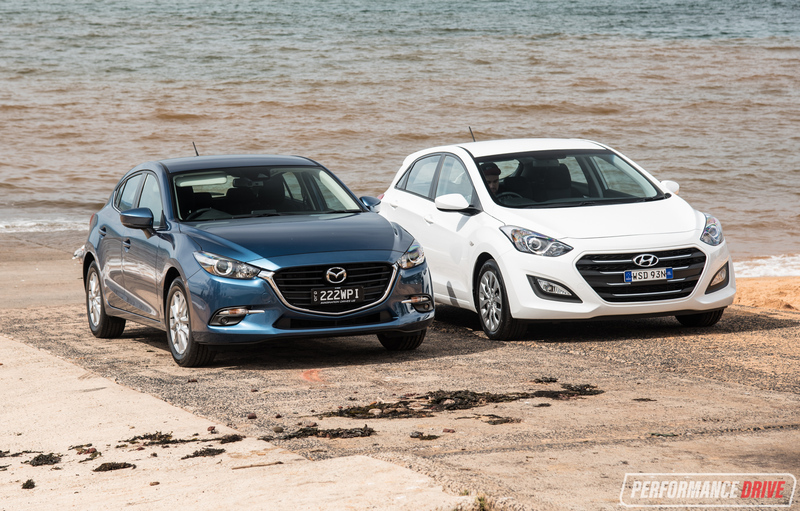 The cars on test are the $23,750 i30 Active auto entree and $24,890 Mazda3 Maxx appetiser – we were unable to secure an i30 Active X for this comparison. 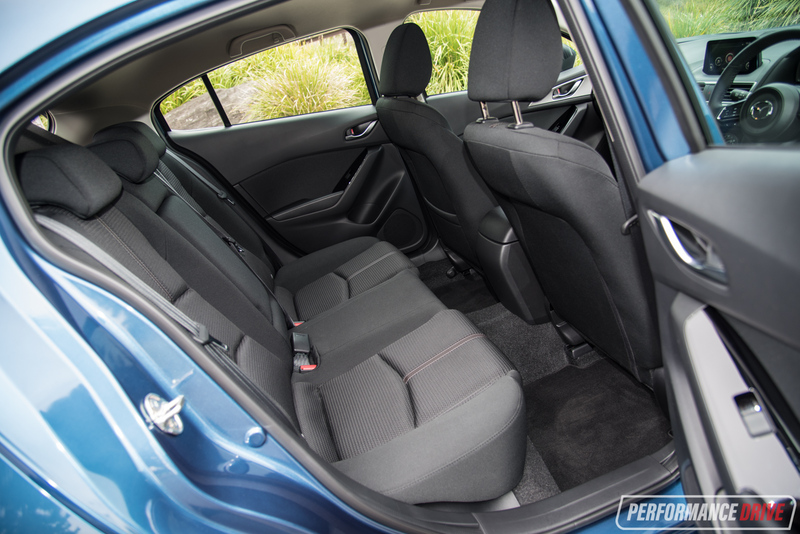 It may surprise some to learn that the base Mazda3 Neo manual undercuts the equivalent i30 by $950. Value goes much deeper than entry price however, so let’s pick them apart like a Christmas turducken. While dimensionally similar, the longer Mazda has a sleeker, sportier appearance with its longer bonnet and slightly lower roofline. The more upright Hyundai is still a handsome car, if a bit less special looking than the Mazda – particularly in white. The interior of each car takes a different approach. 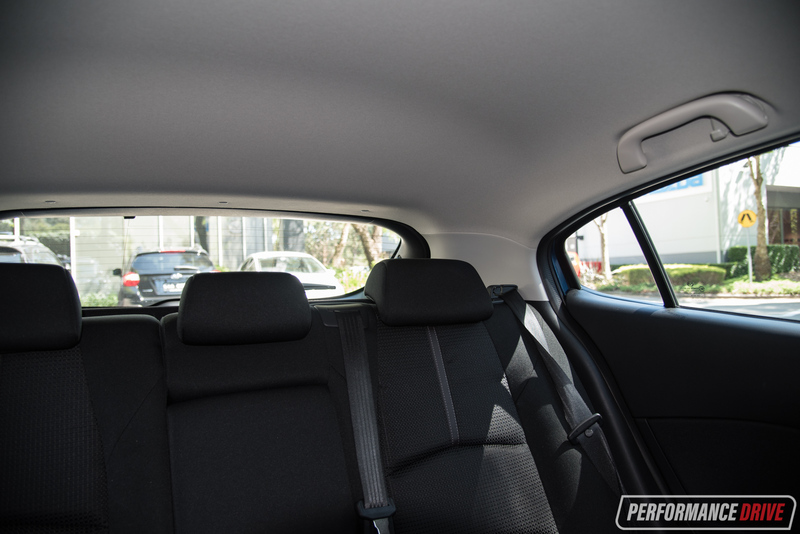 In the Mazda you sit low and cocooned, with a high transmission tunnel and low dash. 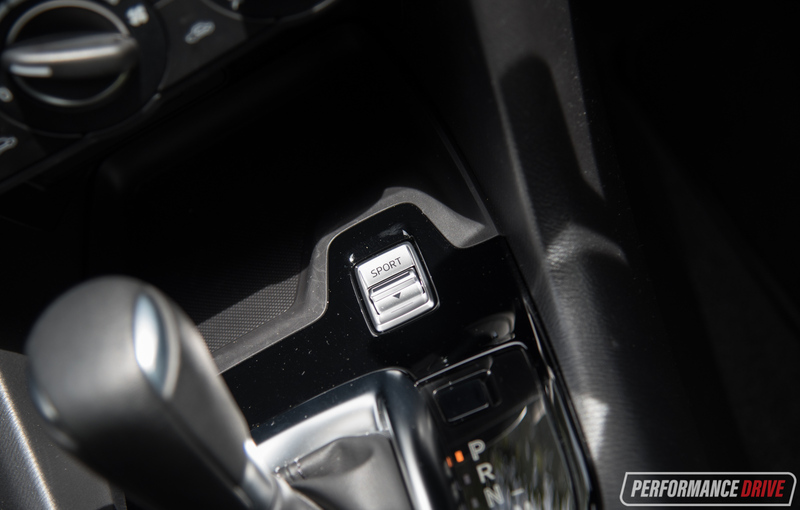 The i30 has an upright, vertical centre stack incorporating an ageing touch-screen, push-button climate controls and a storage cubby ahead of the transmission selector. 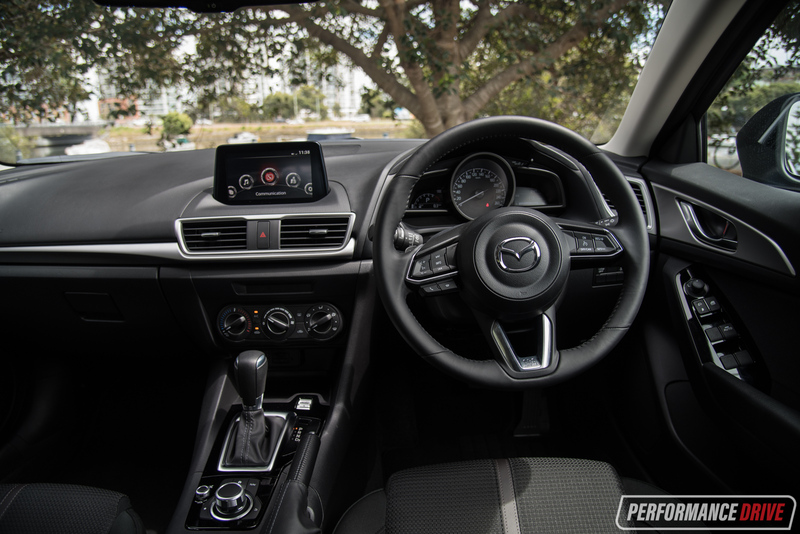 In terms of materials, the Mazda has more soft-touch points than the Hyundai, which has some hard and scratchy bits on the lower dash, but counters with a piano black fascia flanked by silver spears for a bit of colour. 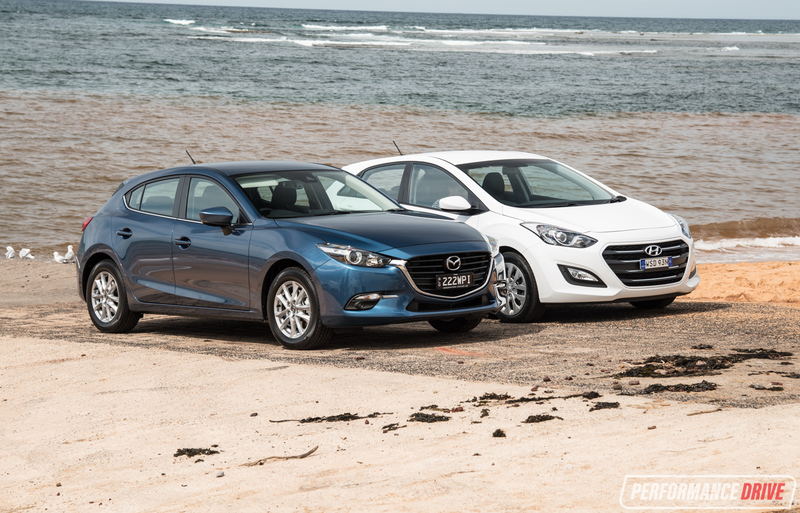 We think the Mazda does feel and look a bit more premium in this comparison. 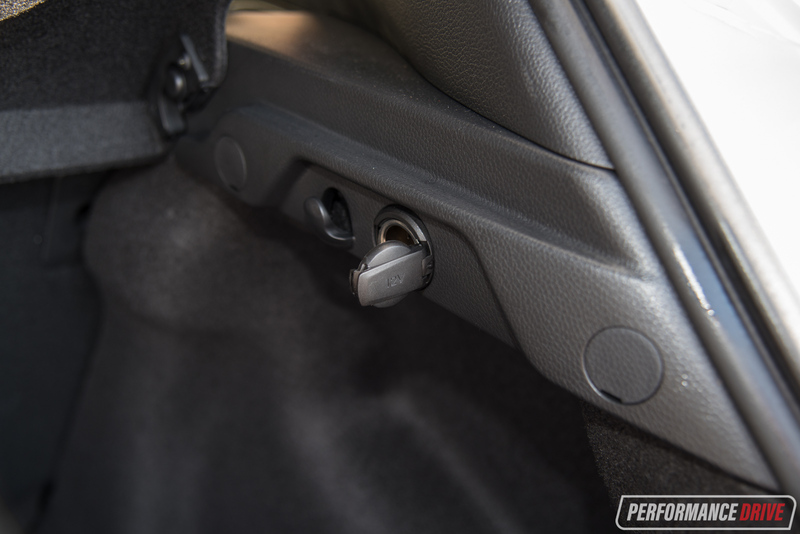 Ventilation controls look more upmarket in the i30, against the Mazda’s plasticky rotary selector, while the Mazda’s seats are more sportily bolstered and supportive but the Korean car’s are well padded and broad enough for a long journey. Neither car has lumbar adjust. In terms of accommodation, both are eminently adjustable and easy to find a good driving position. 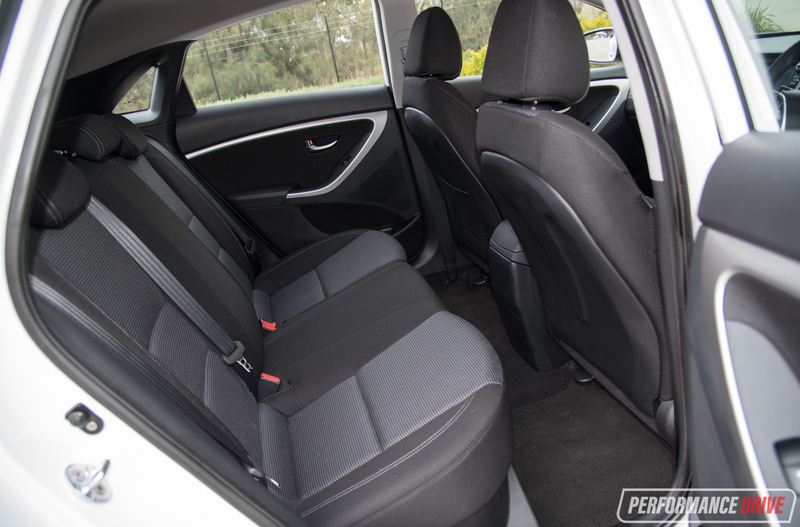 It’s hard to split for passenger space, perhaps the i30 has a narrow edge due to its more upright packaging but there is not much between them. The Mazda’s leather-wrapped steering wheel is delicious, with polished aluminium and neatly arranged controls. It feels better to twirl and is an ergonomic delight. 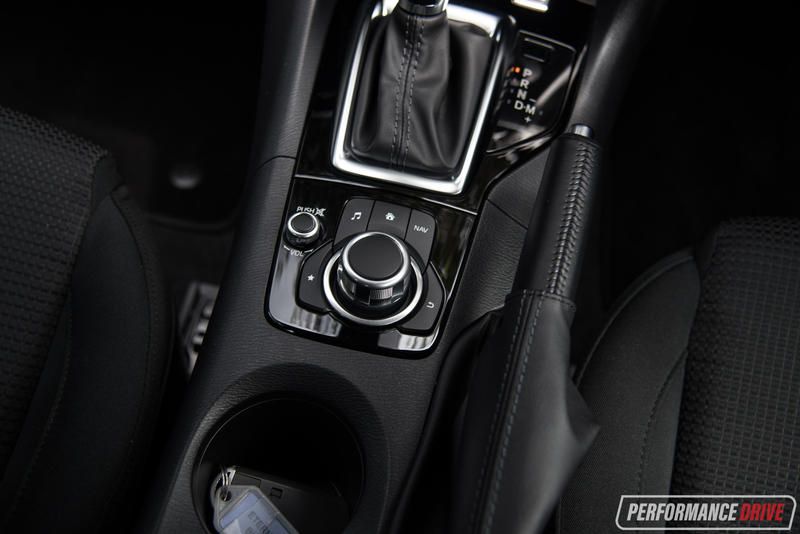 The i30’s wheel and controls are also intuitive, with an interesting four-spoke layout, although it is more plasticky. Boot space is where things get interesting. 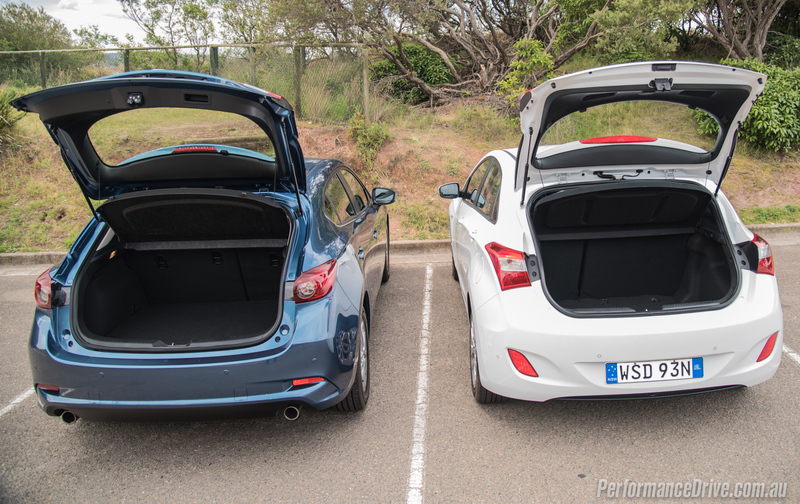 The i30 wins with 378L with the rear seats up and a whopping 1316L when they’re folded, versus 308L for the Mazda3 or 408L for the sedan. 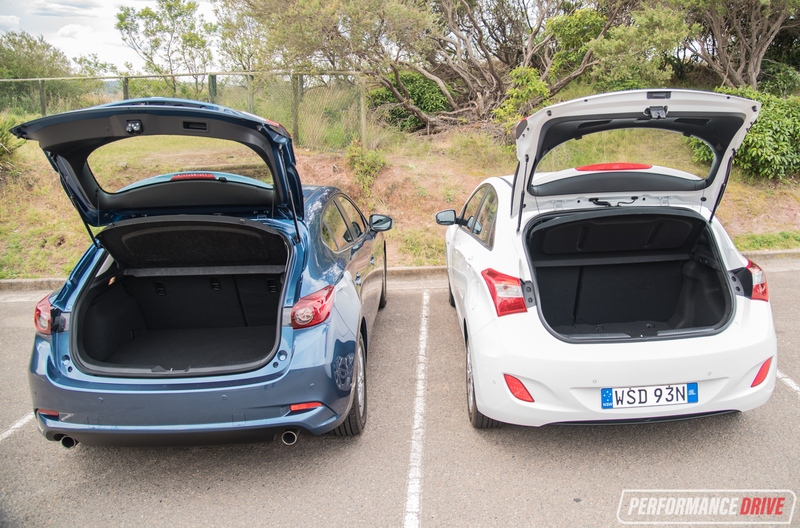 The Mazda3’s lower load lip makes loading awkward items a cynch but the i30 has a deeper, more voluminous floor despite having a standard full-size spare wheel against its rival’s space saver. 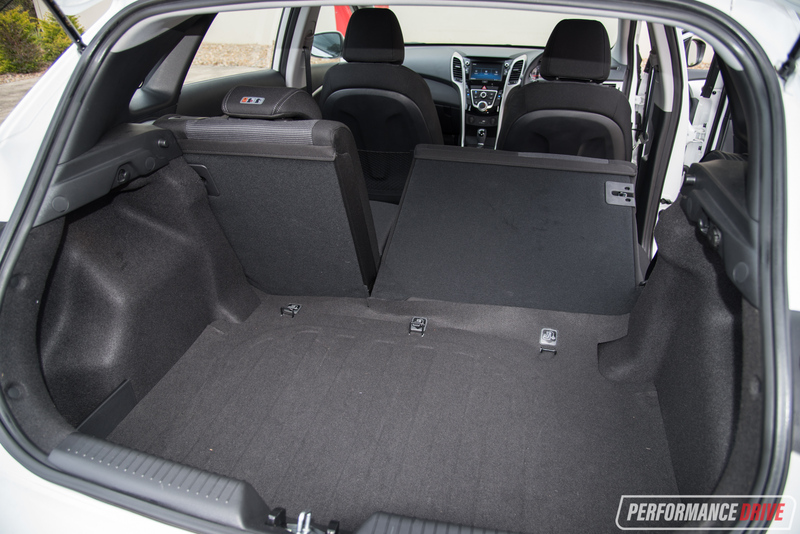 As a bonus the i30 comes with a 12V socket in the cargo area. 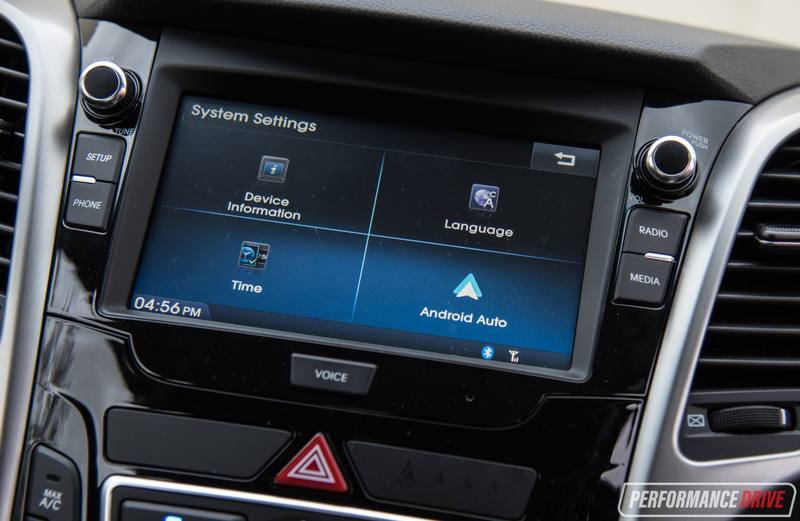 The Hyundai’s standard touch-screen interface with smartphone mirroring capabilty is a major drawcard in its value equation. 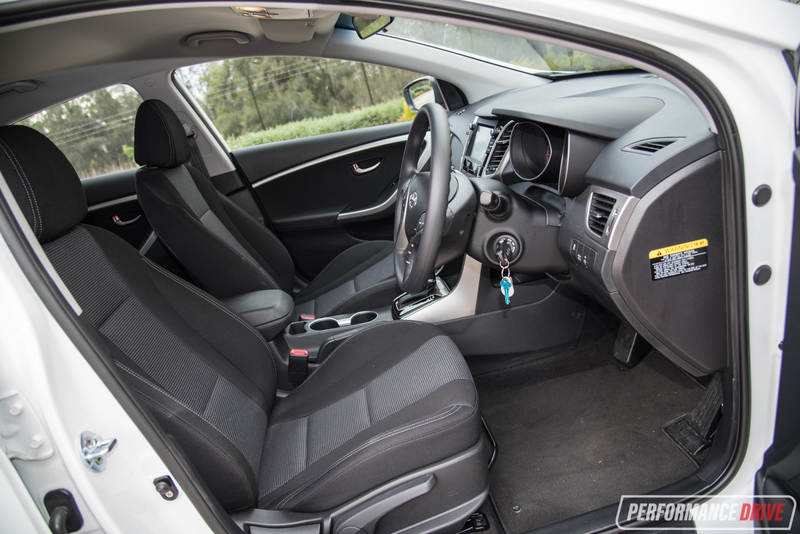 Conversely, the cheaper Mazda3 Neo’s tacked-on stereo looks and feels low rent, but again, here we’re talking about the Maxx. 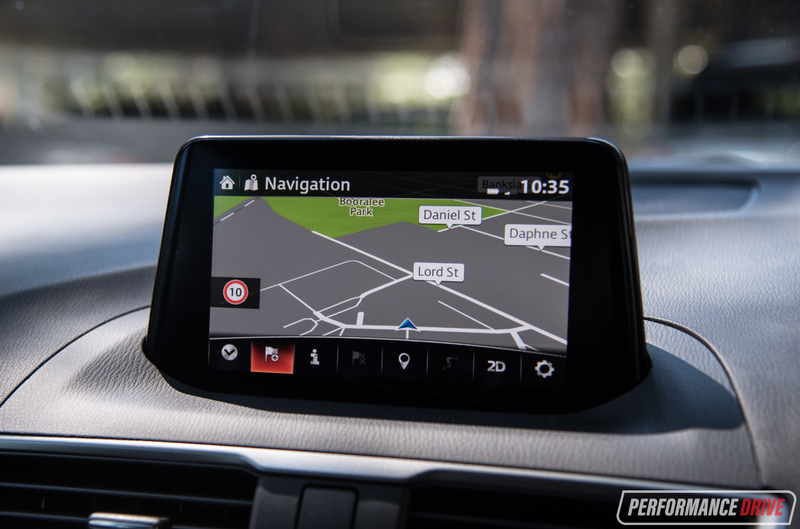 In the Maxx you get Mazda’s MZD Connect system with its exquisite rotary controller, superior graphics, and the ability to select navigation destinations on the move. It takes the cake. The i30 doesn’t have a sat-nav at this price point, nor does the Active X, which is priced exactly the same as the Maxx. 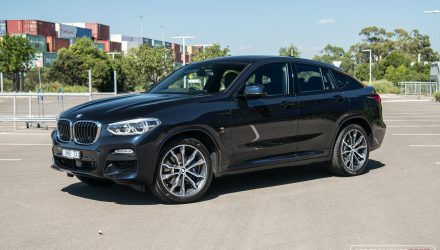 For argument’s sake, the Active X adds 16-inch alloy wheels, leather-look dash and door trimmings and steering wheel, partial leather seats and power folding door mirrors. 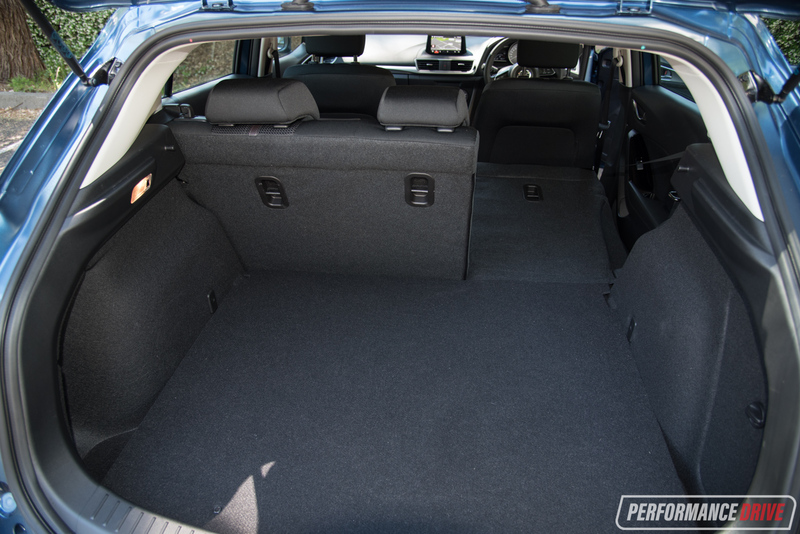 The Mazda also has better sound clarity from its six-speaker stereo. It doesn’t succumb to distortion as quickly as the i30’s six-speaker unit. Having said that, the i30’s audio quality will please most, even if you enjoy your music loud. Both enjoy Bluetooth connectivity and streaming capability as well as USB and auxillary ports. Pairing a phone is a straight forward task in either, and both have answer and hang-up buttons on the steering wheel. A deciding factor may be the Mazda’s CD player that is only available in the pricier i30 SR. 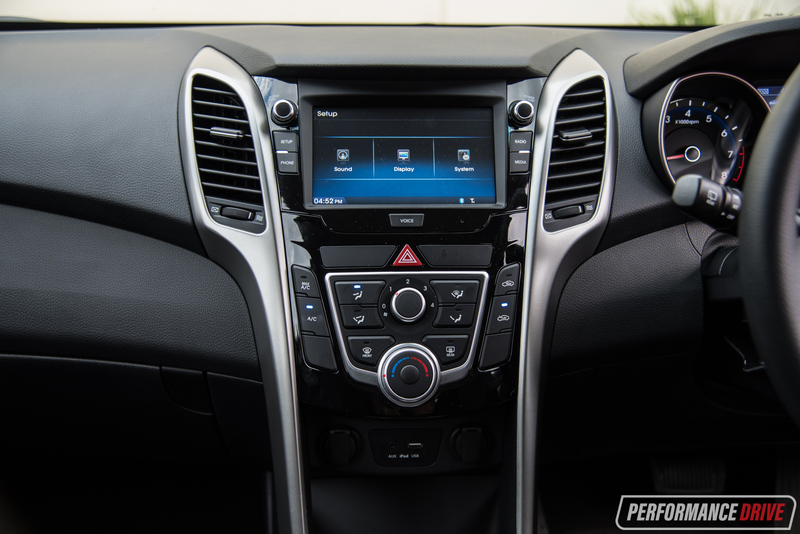 The Hyundai counters that with standard Apple CarPlay and Android Auto, which will be irresistible to some. 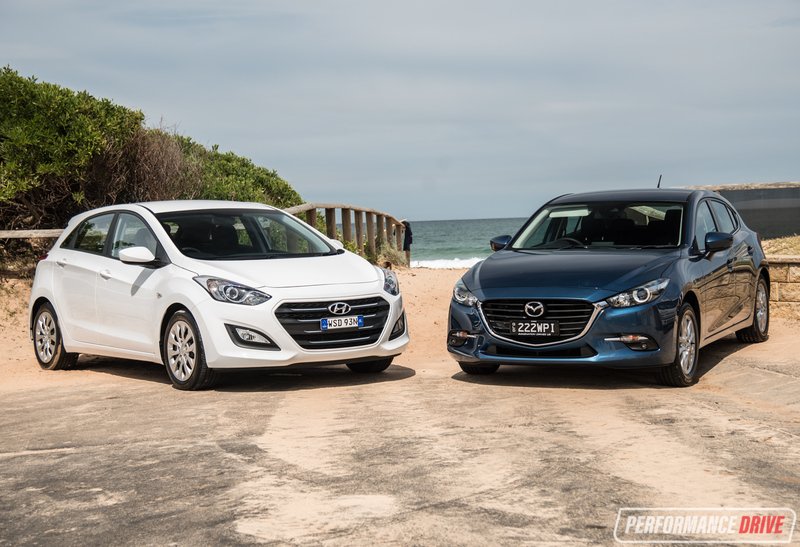 With more overall user-friendliness, better sound quality and satelite navigation as standard, the pendulum swings in the 3’s favour, or the Hyundai’s if the cheaper Mazda3 Neo is in question. Hyundai spends a lot of time and energy making sure the cars we get are painstakingly tuned to Aussie conditions. 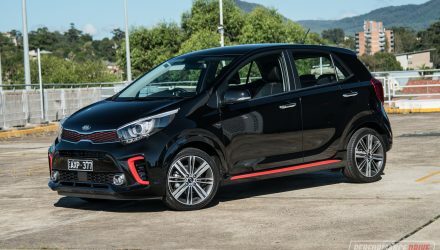 This means consultation early on in the engineering process for things like suspension settings, steering feel as well as throttle and brake behaviour. 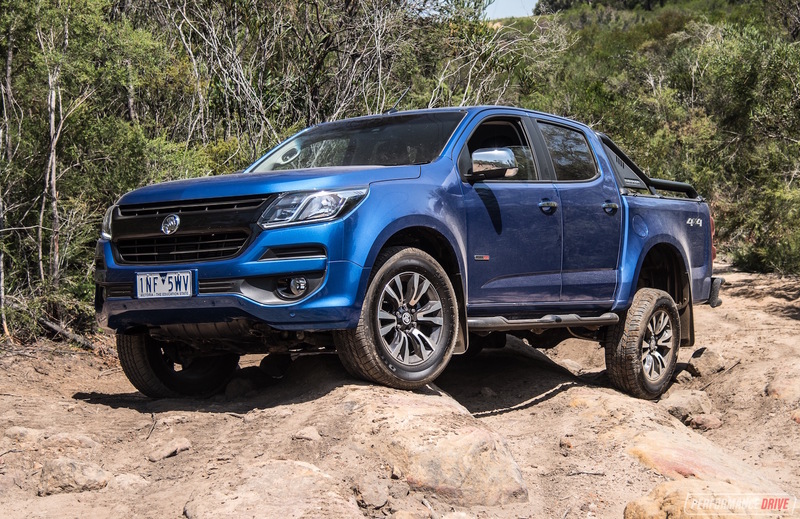 Thousands of kilometres are racked up every year to make sure they suit our great land. As a result, the i30 sits confidently on the road, turning in with poise and holding up surprisingly well through the bends. 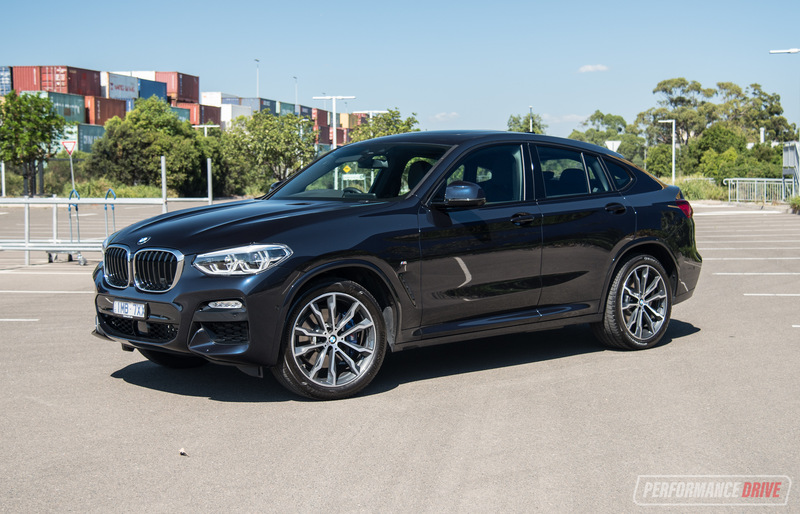 With three steering modes to choose from – Normal, Comfort and Sport – you can select between light and reactive (Comfort) to heavy and dull (Sport). 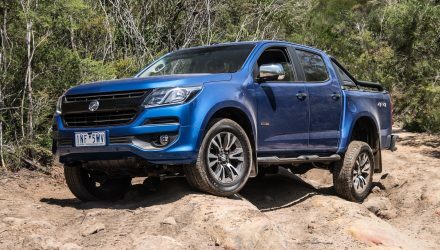 While the steering is precise and mostly well-sorted, it does feel numb and doesn’t telegraph enough information through to your finger tips in our opinion. 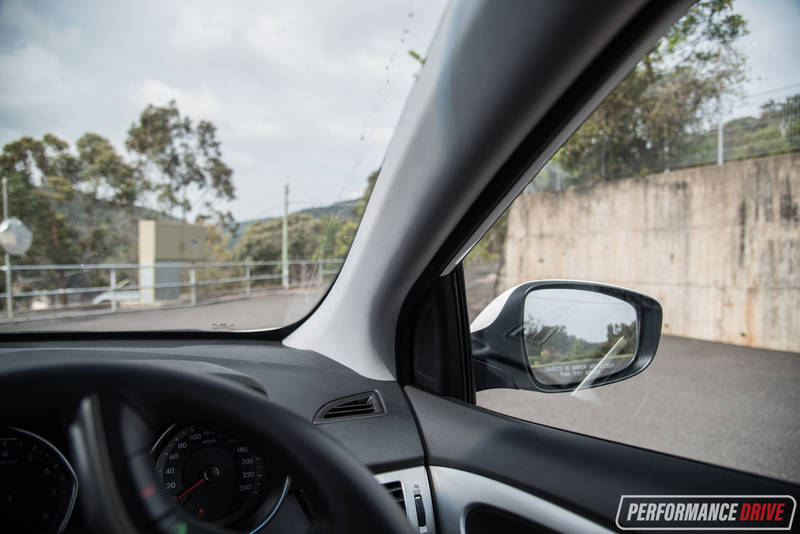 In isolation, the i30 is pleasing to drive and will definitely surprise drivers with lingering preconceptions of the brand. 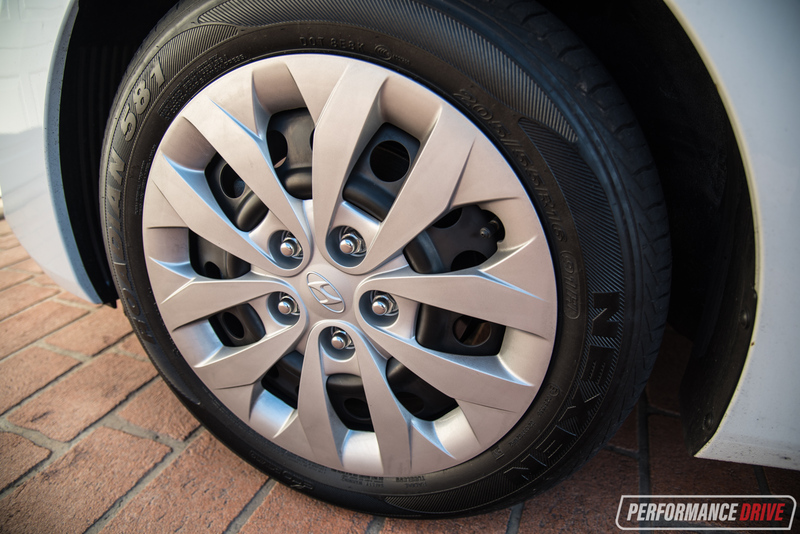 Ultimately, though, cheap tyres throw in the towel earlier than the Mazda. 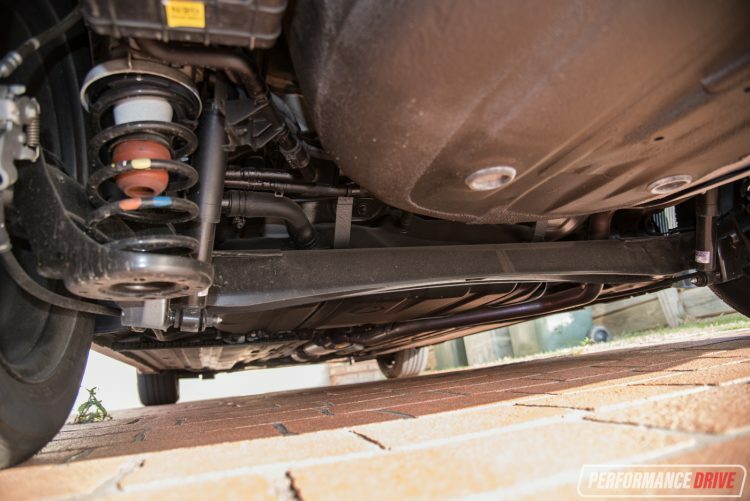 The Mazda also uses a more sophisticated rear suspension setup which we think helps to provide more dynamic overall handling and balance (pictured at top, below). 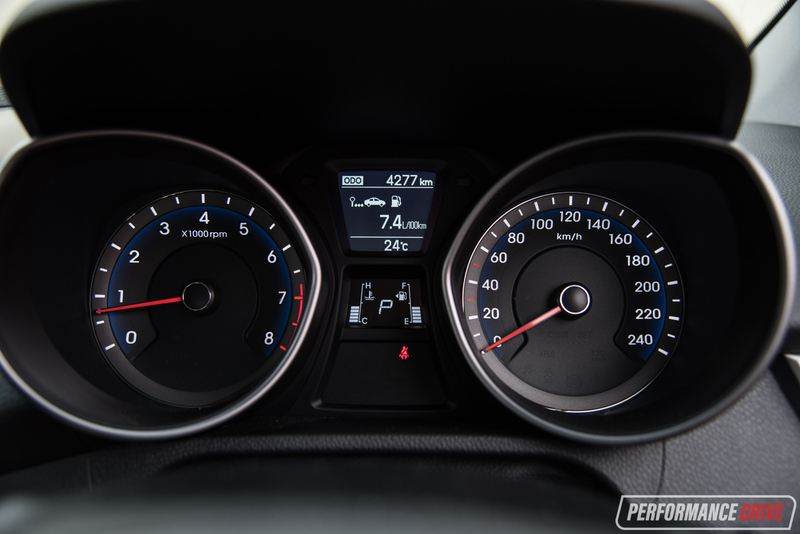 Despite having a smaller 1.8-litre engine with 107kW and 175Nm against the Mazda’s 2.0-litre 114kW and 200Nm four-cylinder, the Hyundai feels quicker and more responsive. Even more odd is that it’s the heavier one at 1372kg vs 1296kg. 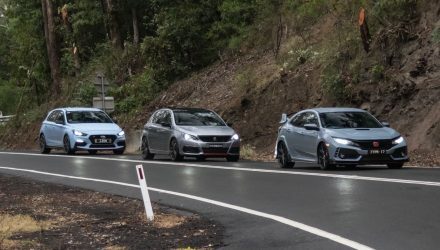 We think this may be due to the Mazda’s taller gearing and Hyundai’s throttle calibration as well as the fact the Hyundai makes an angry, thrashy sound when pushed. Some, like us, might like this. Others may not. 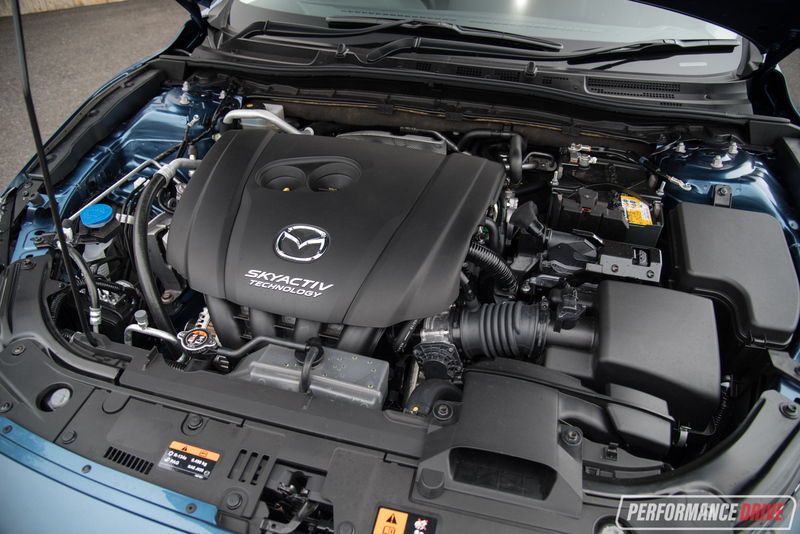 The only time the Mazda sounds uncouth is during cold starts, where the high compression (13:1 versus 10.3:1), direct injection engine rattles itself warm, then settles into a purr. The i30’s gearbox is more intuitive, making it feel less frenetic at times, although the Mazda’s is still good and very smooth. 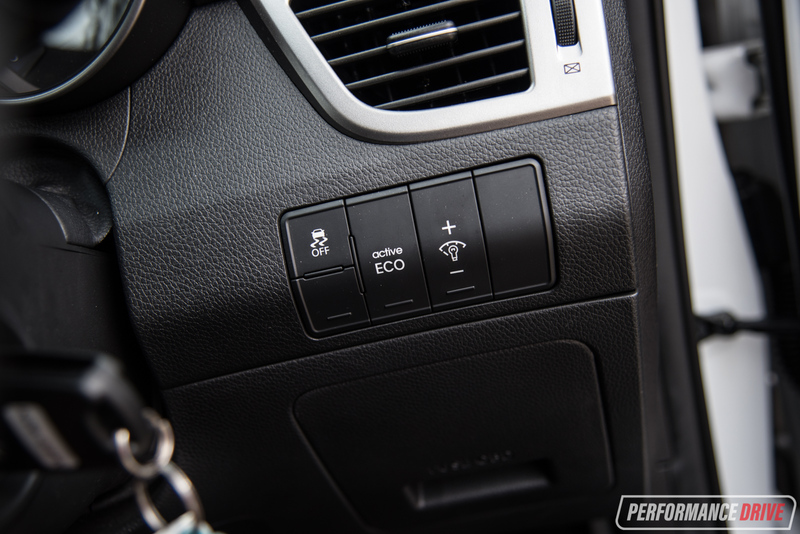 Selecting the Sport mode in the Mazda does liven things up a bit if you so desire. Mazda’s new G-Vectoring uses the electronic stability program’s sensors to brake the inside rear wheel for optimum cornering balance. It is very difficult to detect it in operation, other than the fact it makes the car a very fluent and nimble device. Add a more talkative and direct steering system, palpably stiffer body, superior tyre grip and paddle shifters and it’s the Mazda which feels more alive overall, more fun and even more cheeky when really pushed. Its multi-link rear suspension setup against the i30’s torsion beam means it feels more composed when a mid-corner bump is encountered, for example. The i30 is still an entertaining car to drive but frankly not in the same league as the Mazda. The updated Mazda makes it the quieter of the two as well and despite being more firmly suspended it absorbs bumps with compliance. 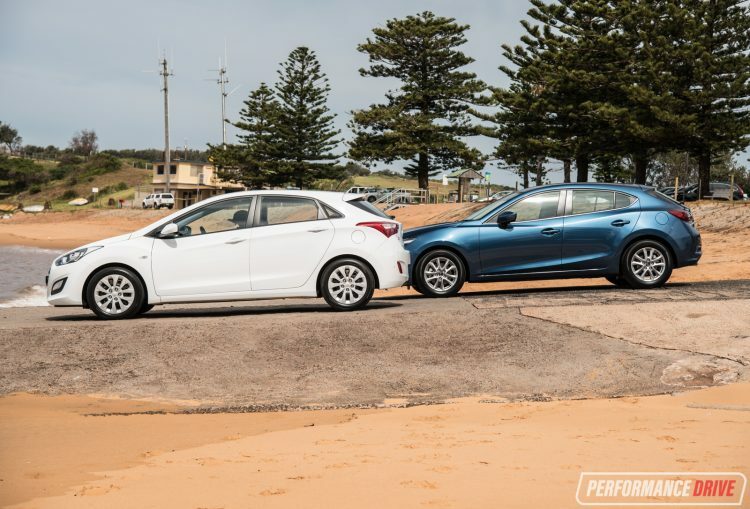 However, the Hyundai’s Australian-tuned chassis makes it more adept over sharper bumps. This has always been one of Hyundai’s drawcards and one that has contributed in no small way to the i30’s success here. 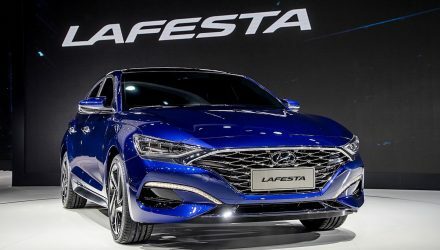 It has a five-year/unlimited kilometre warranty against the Mazda’s three-year/unlimited km, and 15,000km service intervals against the 3’s 10,000km. 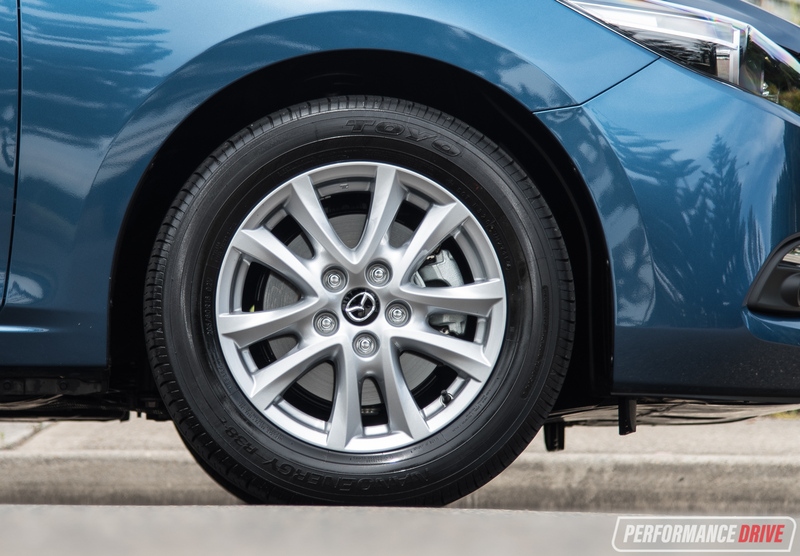 The i30’s services are capped at $219, while the Mazda alternates between $298 and $325. Hyundai also offers a generous roadside assistance package while Mazda will slug you $68 a year, or $83.50 for premium. 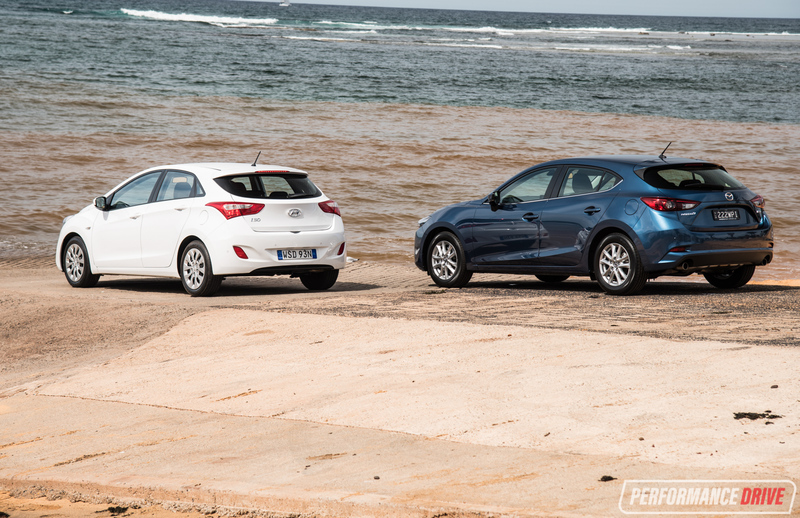 Fuel consumption is quoted at 5.8L/100km for the Mazda and 7.3L/100km for the Hyundai. 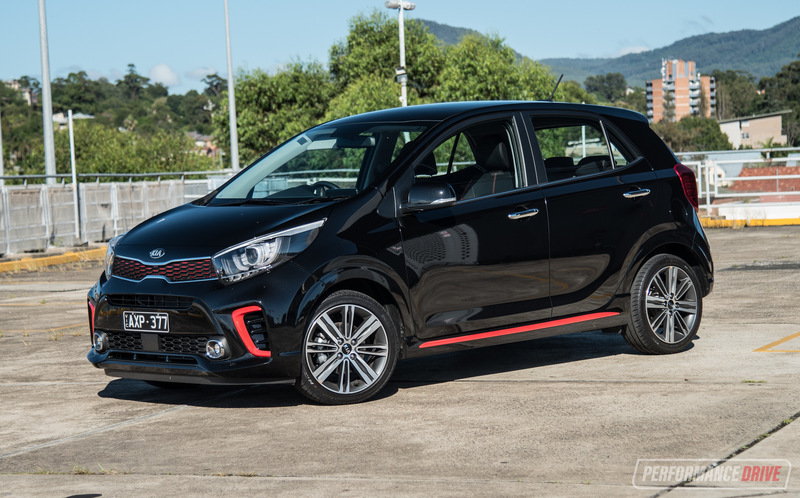 In reality, there is not much in it with the 3 averaging 7.2L/100km on test and the i30 at 7.5. Both fall into the 6’s on the freeway, ticking over at around 2000rpm at cruising speed, which is very impressive. The Mazda’s standard stop-start gives it an advantage at intersections but the i30’s Active Eco mode makes a noticable difference too without blunting the driving experience too much. 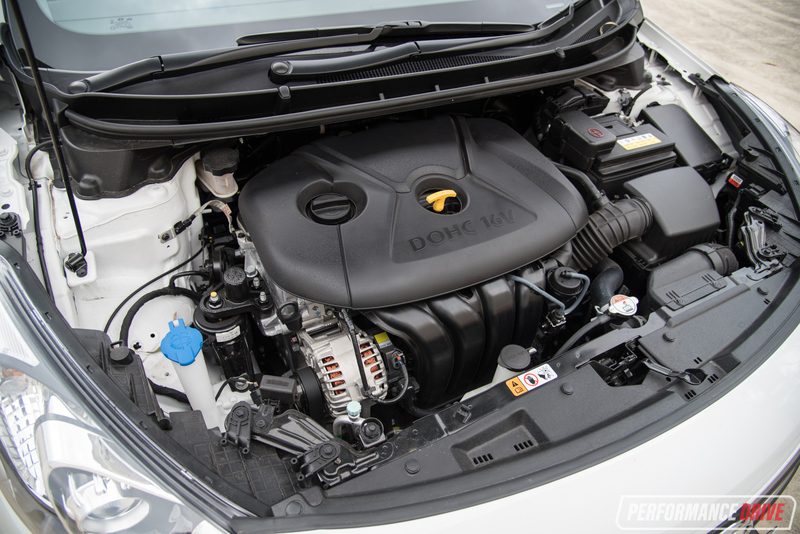 It’s worth mentioning the Hyundai also has a diesel variant that sips 4.6L/100km for a few grand more. While the Mazda isn’t exactly expensive to run, the Hyundai gives it a bloody nose and claws back some points here. 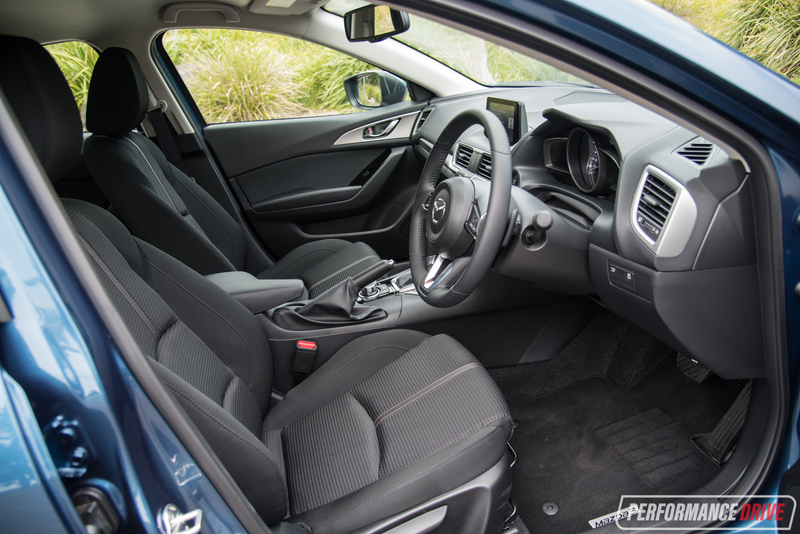 Both vehicles are very safe, with an airbag arsenal (7 in i30, 6 in Mazda) and traction and stability control, to which the Mazda (in Maxx form) adds forward and reverse collision mitigation, blind-spot detection and cross-traffic alert. Both have reversing cameras with fixed guidelines. 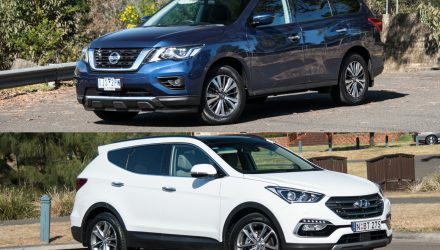 ANCAP has awarded both five stars, with the Hyundai scoring 35.69 out of 37 and the Mazda scoring 36.40 (all variants). 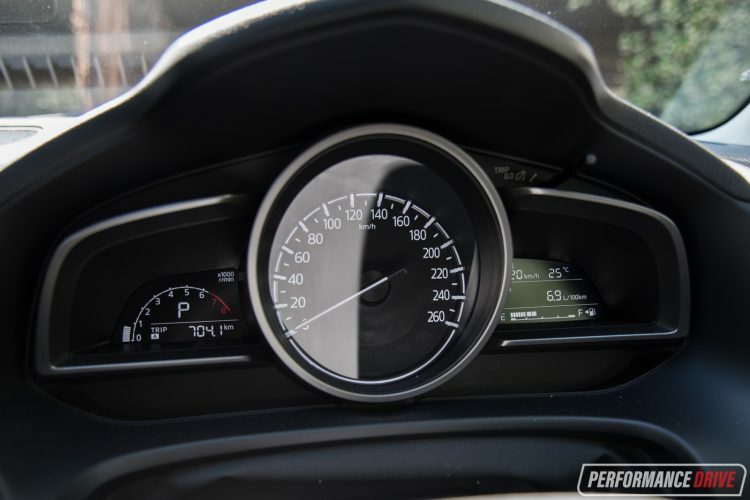 Part of the reason the Mazda scores higher is because all variants come with forward collision warning with autonomous braking technology as standard. Braking is well judged in both vehicles, with each offering excellent pedal feel, stopping from 100km/h in our test in as near-enough to 40 metres. 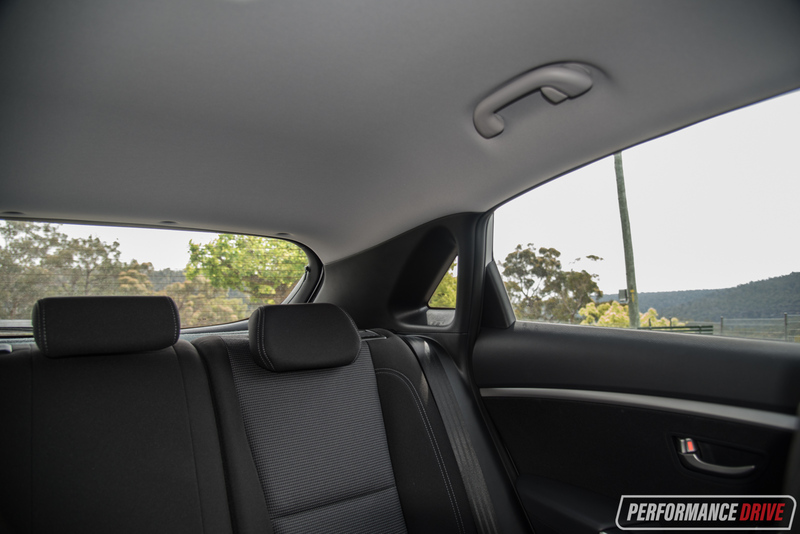 It’s the Mazda though which edges ahead with its superior active safety – even if you go for the same-priced i30 Active X it doesn’t come with the same level of safety technology as the Mazda. Both offer compelling reasons to buy. 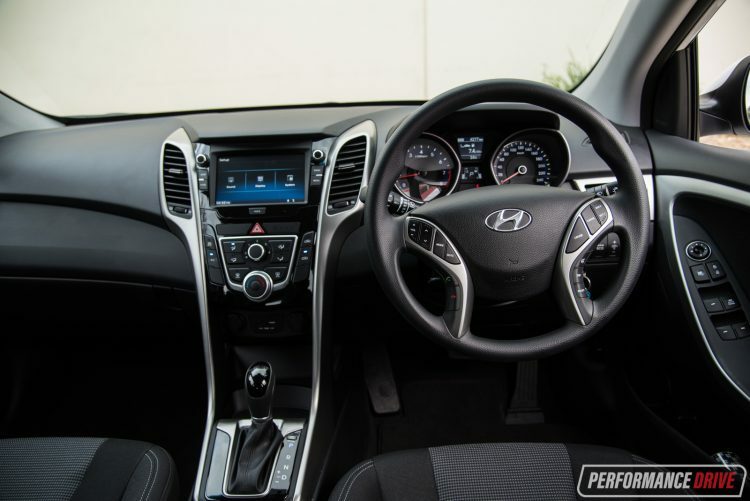 The Hyundai has a more accommodating cabin, better judged gear ratios and is more responsive plus offers superior servicing costs and after care. 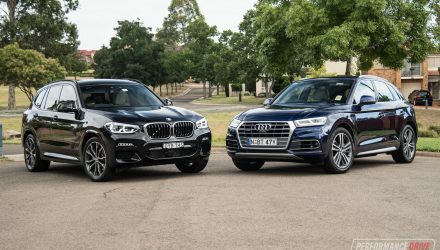 It is a very well rounded package, and out of the two more likely to be sold at a discount price making it perhaps more attractive to fleet buyers. The Mazda, though, is quieter, slightly quicker and lighter, more accomplished in terms of handling, has a more user-friendly infotainment system, and wins us over with a more capable and fun driving experience. 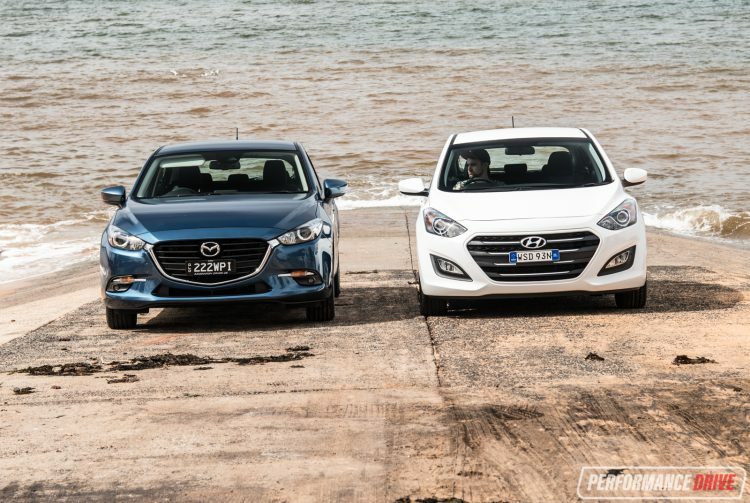 It’s telling that the i30 will be replaced with an all-new model in the middle of 2017 and we doubt the Mazda will be able to hold onto this victory easily.